Arkansas officials acted properly in suspending Medicaid payments to a Missouri-based behavioral health provider, an administrative law judge ruled Monday. 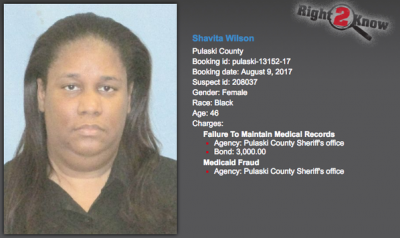 Shavita Wilson, 46, of Little Rock, surrendered herself in Pulaski County District Court on three outstanding warrants. Click here for more information. JONESBORO — Following the arrest of two speech pathologists formerly contracted with the Bay School District, Superintendent Chip Layne said Monday the district had put the issue behind them.